Apostle Paul writing to Timothy in his first epistle to a disciple who was believed to be an ally of Paul and probably a Deacon said "Let no one despise your youth, but be an example to the believers in word, in conduct, in love, in spirit, in faith, in purity" (I Tim 4:12). Oba Ogunwusi, I'm not acting Apostle Paul, but permit me, Kabiyesi, to enjoin you with those words of the Apostle of Christ. Yes, let no one despise your youthfulness. Your position is not by how long you have sojourned here. It's bestowed as birthright. Divinely, as we believe here. 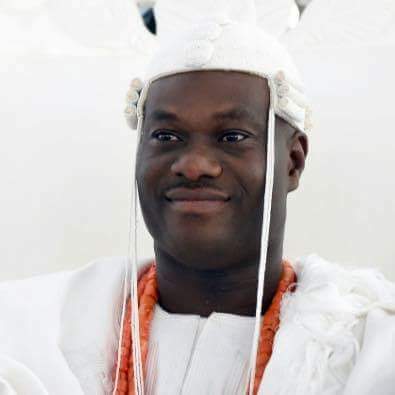 Anyone who thinks he can relate to Ooni Ogunwusi based on his biological age is just simply WRONG. It's the height of mischief for anyone to take the humility of the peace-loving monarch for weakness or to be derided. He has transcended to become a FATHER to his own biological father. Baba Ropo Ogunwusi had no problem to accept that swap of relationaship. The accolade Baba OBJ is receiving for doing the right thing as culturally demanded is deserving. For those cybercitizens who are waging their supremacy battles by proxy for Yoruba Obas with their REVISED EDITIONS of Yoruba history, they can remain in 16th century. That's their problem. It's a new dawn......Oba Ogunwusi is on a God-given mission. Like Gamaliel said in the Scripture: "But if it is from God, you will not be able to stop these men; you will only find yourselves fighting against God.” (Act 5:39).